Looking for canadiana books? Biblio.com.au hosts hundreds of of the finest online book stores and booksellers, including specialists in canadiana. Use the list below to locate a specific specialist bookseller or book store near you. Or, use the form below to search the inventory of all booksellers who specialize in canadiana. Bison Books is a an open shop, located in the heart of downtown Winnipeg, Canada. We carry a general stock of about 25,000 better quality books, mostly hardcover. Brown & Dickson are antiquarian booksellers located in London, Ontario. Our specialties are Art, Local History, Counter-Culture, Fine Literature, and Weird Canada. Rare, small run, quirky, any book that I have never seen before is what I find and offer. Welcome to Dale\'s Books! 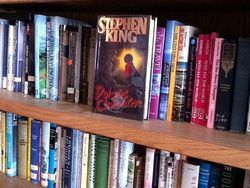 We operate privately out of our own home with an ever-expanding stock based on many years of collecting and an ongoing attention to adding books of quality and interest. If you have any questions, general or specific, please do not hesitate to contact us. We have been booksellers since 2000. 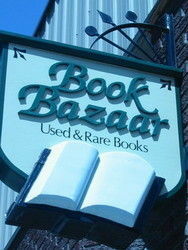 We deal in old and rare hardcovers, primarily non-fiction. 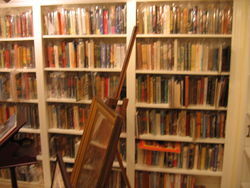 We have about 10,000 books in four rooms of an 1820's mansion located in Saint John, New Brunswick, Canada. Online Bookstore - Viewing and pickup only by appointment. The image presented is of the book offered for sale. Most books shipped in a box. We are semi-retired rare book-dealers, having been in the bricks & mortar used book world in Canada for 18 years & by appointment for�15 years. We sell oddities, unusualiana & out-of-print books & paper. Heroes BookShop : A place to browse. Jim Anderson Books is a mail order and on-line operation specializing in serving Canadian libraries, archives, and museums. We also deal internationally with institutions and individuals. We are a family business and have been involved in books since 1971. An online bookstore that just '�grew '�from a combination of a love of books, a desire to save them from landfill and an inability to bypass yard sales. A considerable percentage of my inventory�is signed editions. I also take pride in my Canadiana catalogue. Mole's Books is an on-line bookstore selling new/used collectible books in all subjects including war/military, BC/British Columbia/Canadian history/poems/poetry, chidren's etc. and a small number of foreign language books in German, French, Asian, etc. Mole's has been operating since 2001. An open bookstore (Wednesday through Saturday from 11 am to 5 pm and Tuesday through Saturday from 10 am to 5 pm for the summer months of July and August) located in the Ottawa Valley area of Ontario. We also buy libraries and private collections. Member of IOBA (Independent On-line Booksellers Association). If you have any questions, we may be reached at 1-613-756-BOOK (2665). In our 17th year of sharing Canadiana, natural and social sciences, travel, scholarly works and other interesting primarily non-fiction in English, French, and other languages of the world. Purveyors of gently used, out of print, and rare books.�While based in Canada, we ship from both Canada and the US. We are an online store offering a wide range of used and out-of-print books, with special emphasis on children's books, Canadiana, and books of interest to educators. After 30 years of keeping shop in downtown Toronto, we have now become a home-based business. Visitors by appointment only. We specialize in literary books, particularly Canadian literary books (we have handled more out of print and rare�Canadian literary books than anyone else in history) �We also have select out of print, scarce, and rare books in a variety of subject areas. We were founded in 1974. 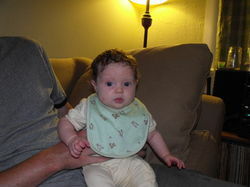 We do appraisals for a fee and welcome wants lists. Description of Business: TBCL, The Book Collector's Library Is An International Specialty Mail Order Business With Over 30 Years Of Experience In Providing Interesting Books & Documents To An Eclectic & Discerning Clientele. Our store is a haven for booklovers!